Public university entry in Ghana: Is it equitable? Language of instruction in Tanzania: Why are research findings not heeded? 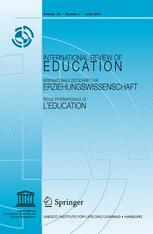 Gender differences in primary and secondary education: Are girls really outperforming boys?